By agreeing for us to use your content, you agree to the following terms and conditions. You represent that (i) you are at least eighteen (18) years old, (ii) you own and control all rights, title and interest in and to the photographs, text, moving images, sound, illustrations or any other materials (“Content”) and have all the rights to grant the license to Les Mills herein; (iii) you have the permission of all individual(s) captured in the Content to share and publish their image; (iv) have complied with all applicable laws and regulations associated with acquiring and/or producing the Content; and (v) you expressly consent to Les Mills using your Content, name, likeness and image. 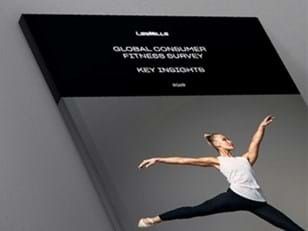 You grant to Les Mills a non-exclusive, royalty-free, worldwide, perpetual, irrevocable license to use, reproduce, modify, adapt, publish, translate, create derivative works of the Content, including any caption thereto, for any manner (including without limitation, promotional and advertising purposes) on or in any social media accounts and digital platforms of Les Mills (including websites, apps and emails) without any compensation to you or to any third party. To the fullest extent allowed by law, you agree to release, discharge and indemnify Les Mills and its employees and contractors or any other person acting under Les Mills’ permission or authority, from any liability, claim, damage, judgment, cost, loss, expense (including reasonable attorneys’ fees), by virtue of any publication or use of the Content and the name, image, likeness, persona or other information you provide in connection with such Content.